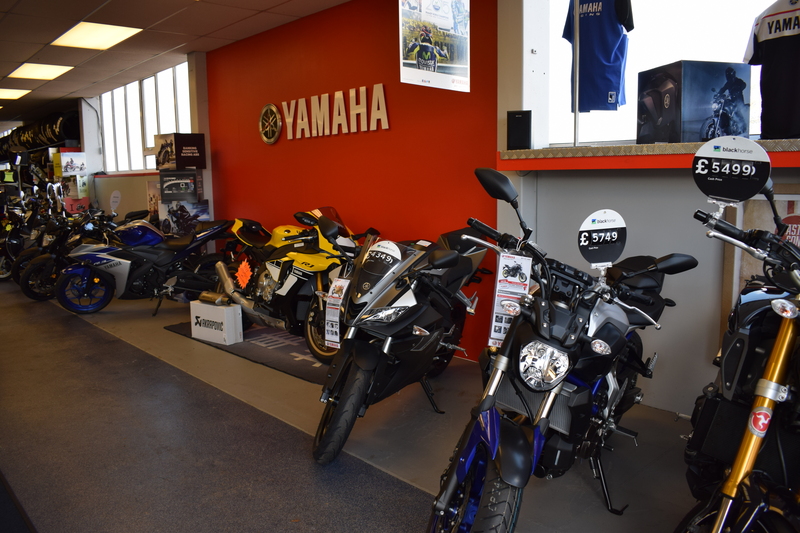 Bedfordshire's Premier Exclusive Yamaha Dealer! 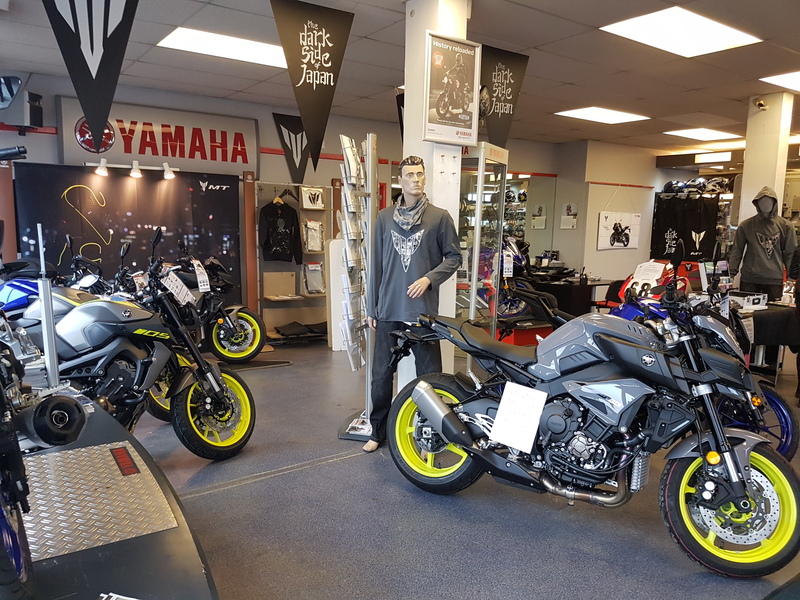 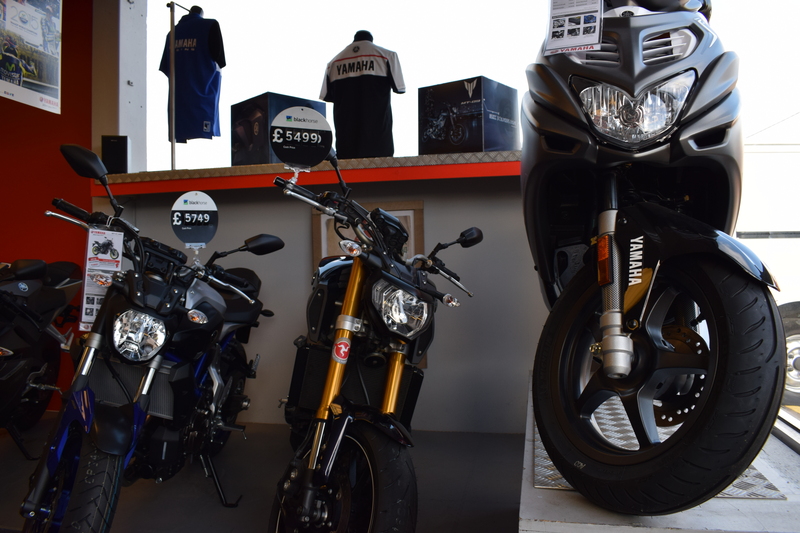 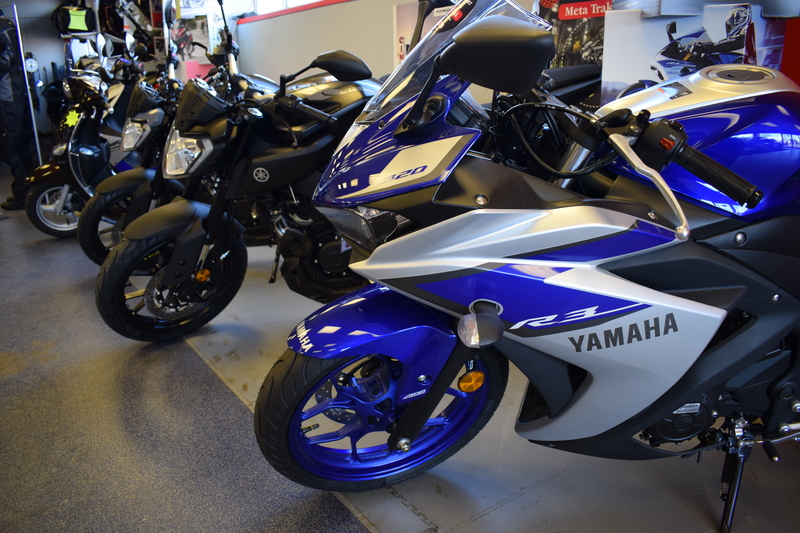 Flitwick Motorcycles are a Premier Exclusive Yamaha motorcycle dealer located in the small town of Flitwick in Central Bedfordshire. 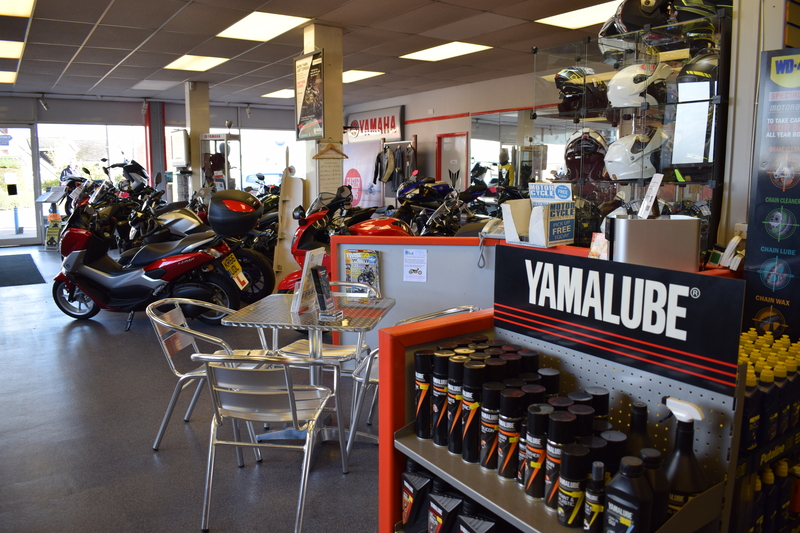 Run by husband and wife partnership Steve and Carole Linsdell for over thirty years, there’s not much that our friendly team don’t know about Yamahas and bikes in general! 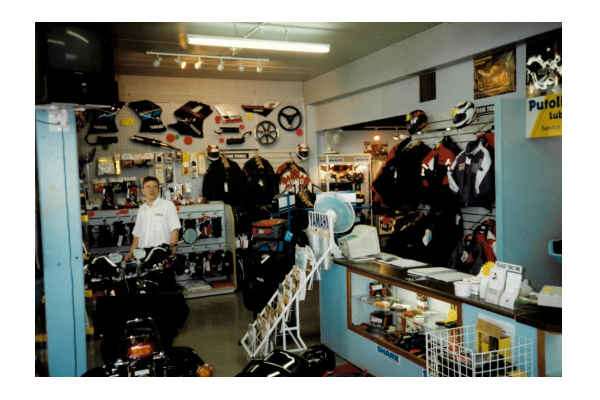 We’ve been around a while! 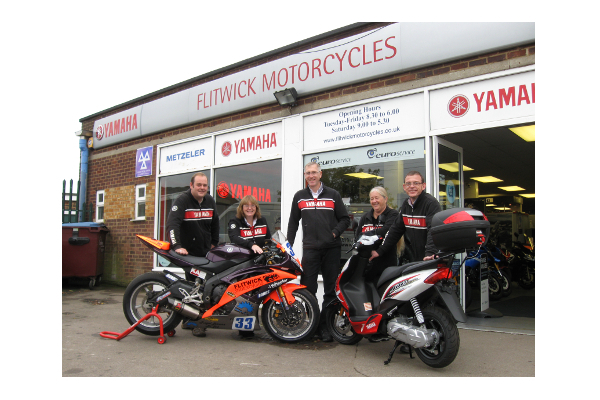 Flitwick Motorcycles have existed on this site as a Yamaha dealer since 1975, with Steve and Carole taking on the business just shy of a decade later in 1984. 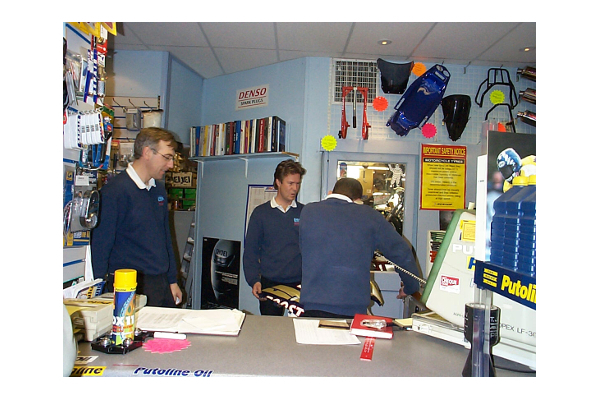 Yes there have been periods where we offered other marques as well ( MZ and Simpson from 1984-1995 & Triumph from 2000-2006 and in the first year we also repaired lawnmowers!) 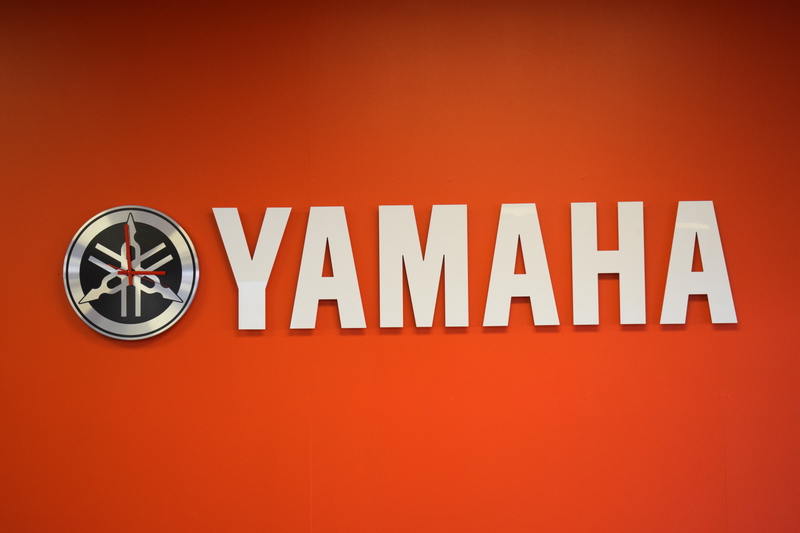 but our primary focus has always been Yamaha. 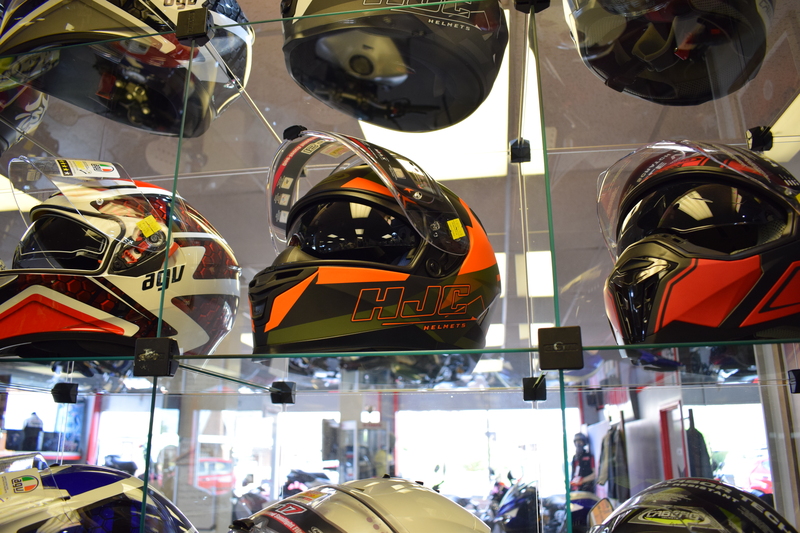 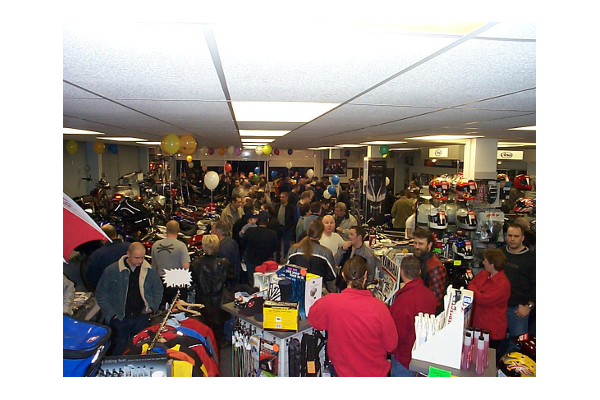 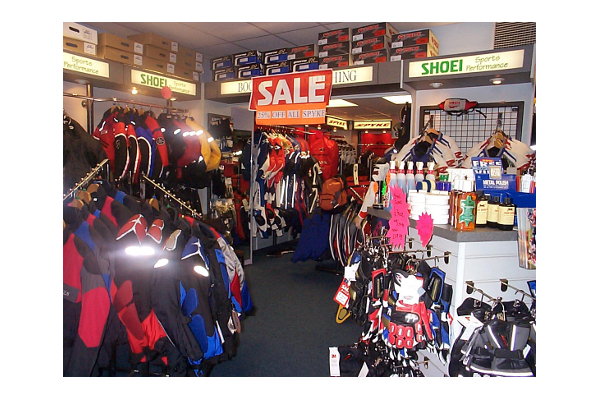 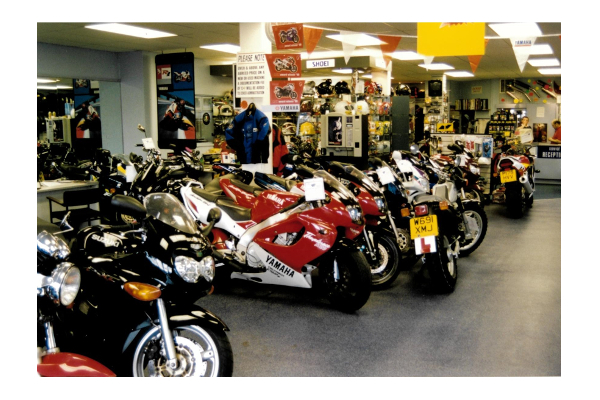 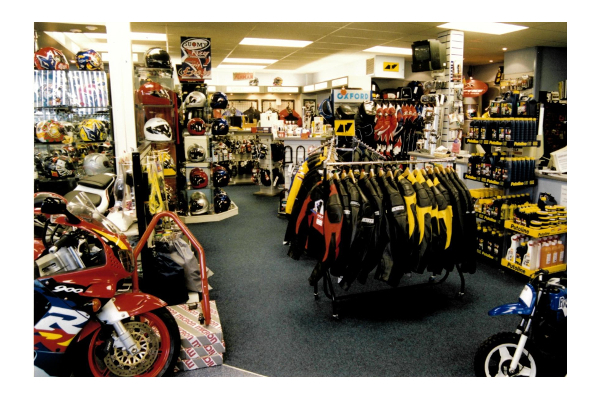 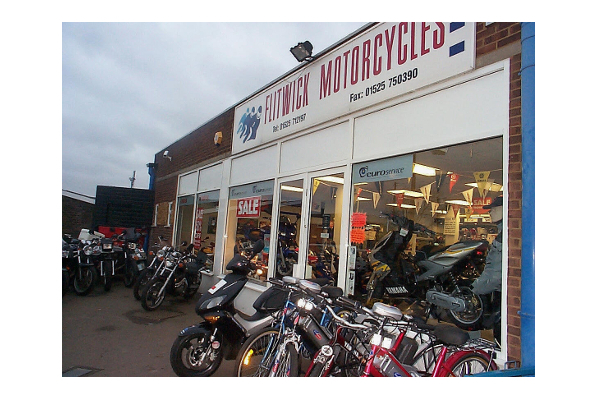 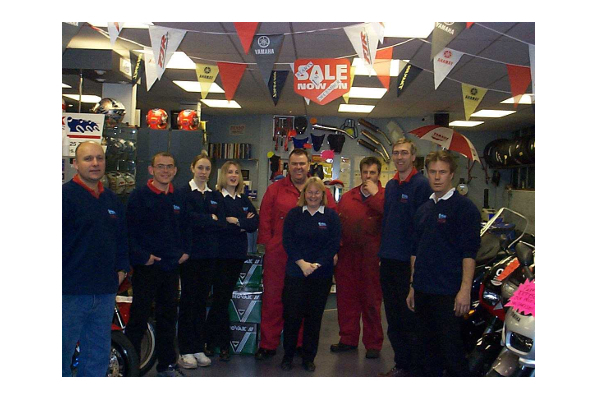 Whilst the layout and decor of the shop has changed significantly over the years, our management, location and ethos has remained the same: Flitwick Motorcycles are here to provide our customers with top quality bikes, parts & gear alongside all associated maintenance & repair services! 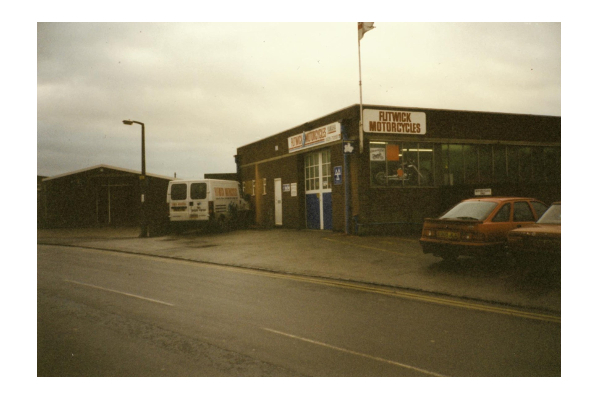 See below a short history in pictures of our progression from 1984 to the present day. 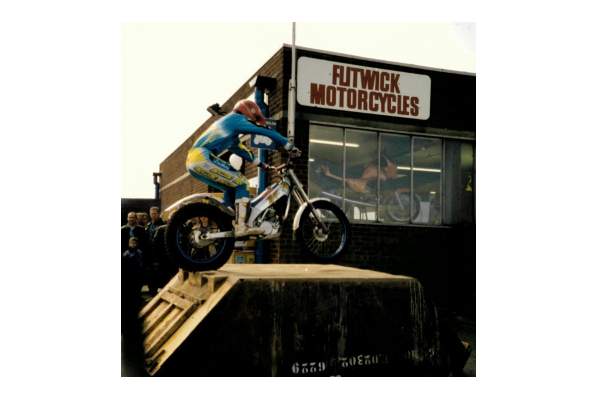 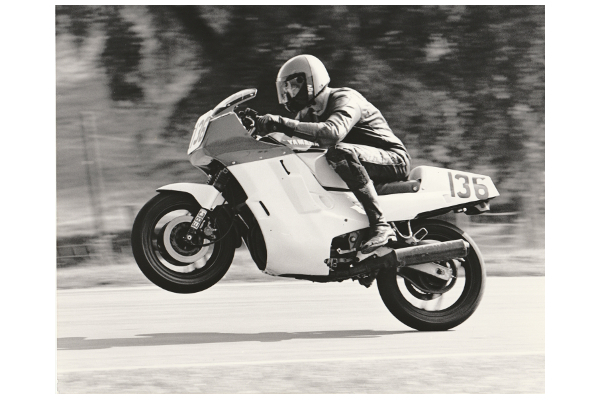 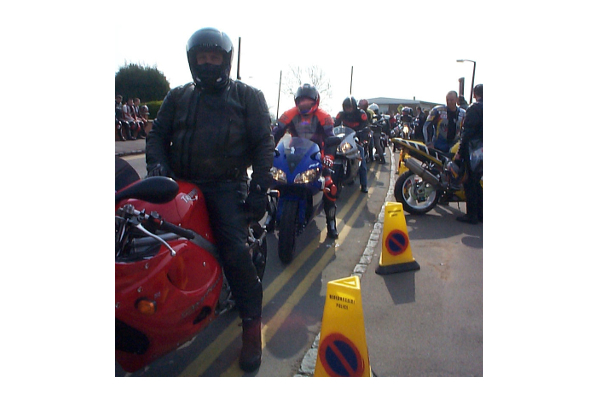 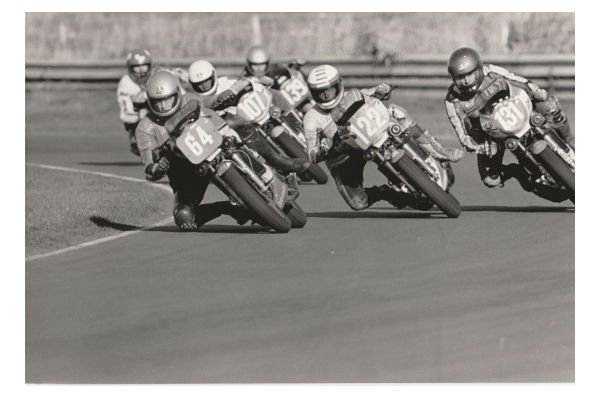 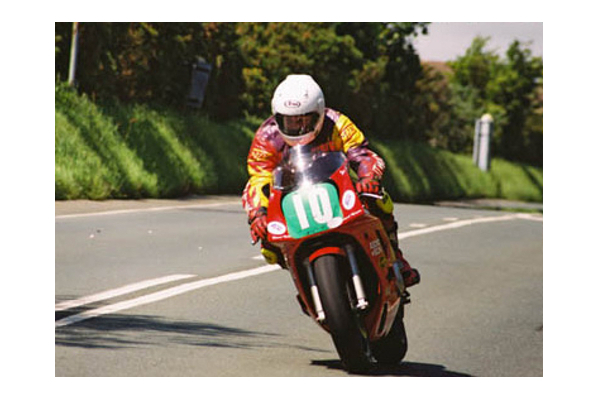 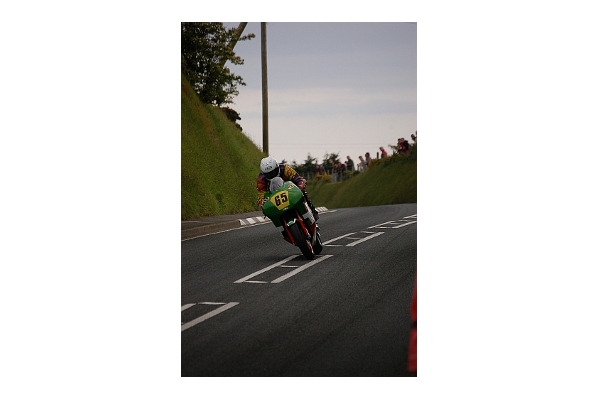 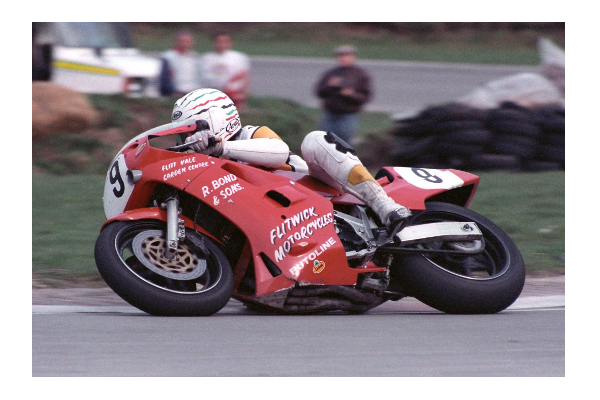 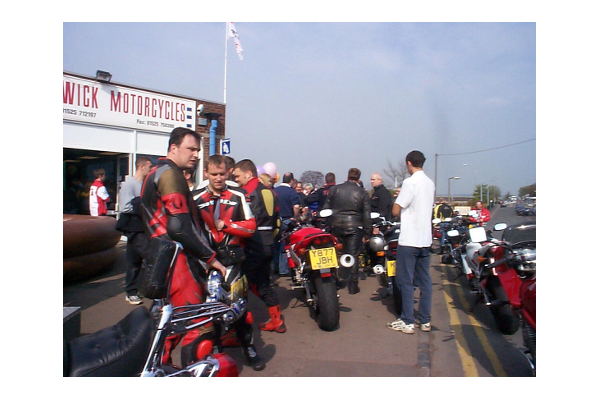 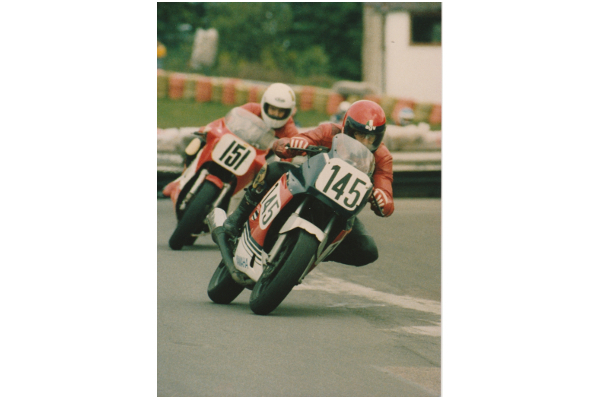 Flitwick Motorcycles have always had a strong involvement with Road and Circuit Racing, throughout our history. 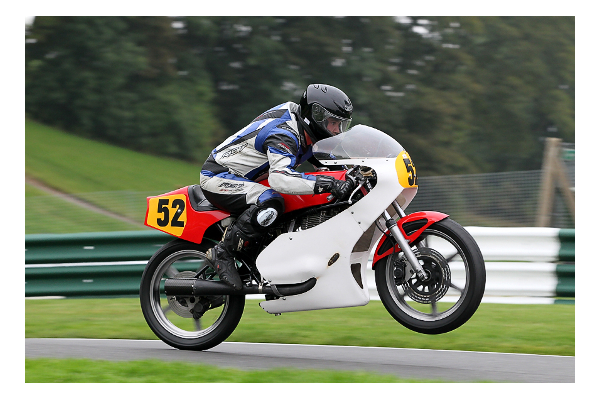 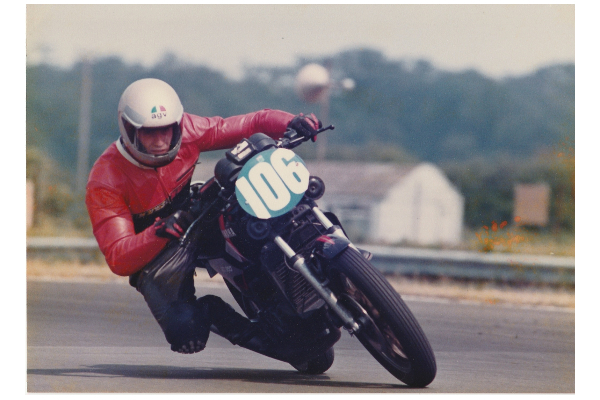 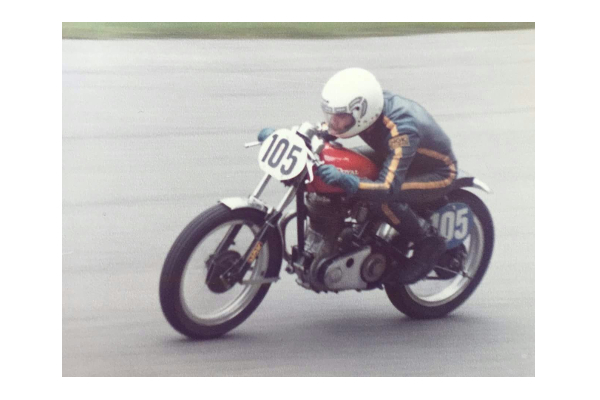 Owner Steve Linsdell started racing on Vintage Royal Enfield machinery in 1977, placing 2nd in his first ever race and quickly becoming dominant over the next few seasons at club level. 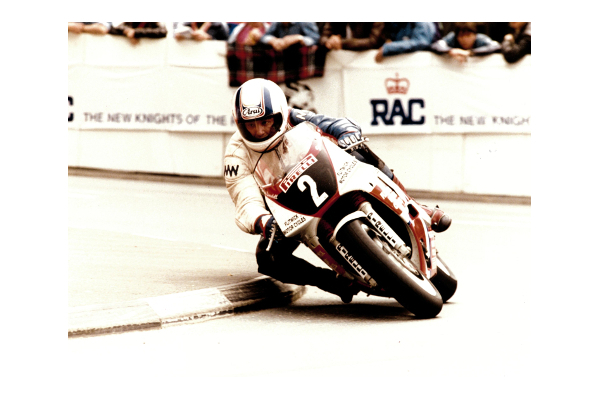 It was whilst Vintage Racing that Steve was invited over to the Isle of Man to participate in a parade lap they were running. 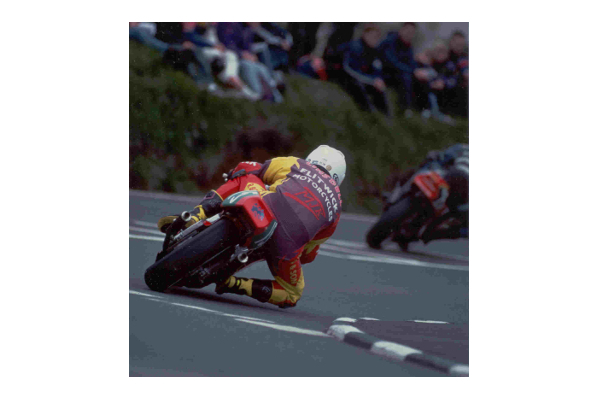 That was it – from that moment on Steve was hooked and his focus switched to the Isle of Man, an addiction that would stay with him for the next thirty years! 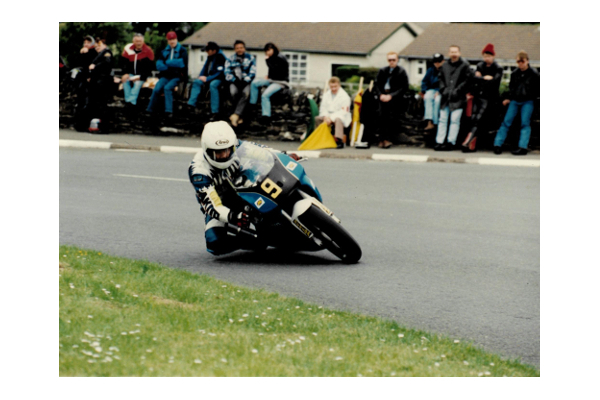 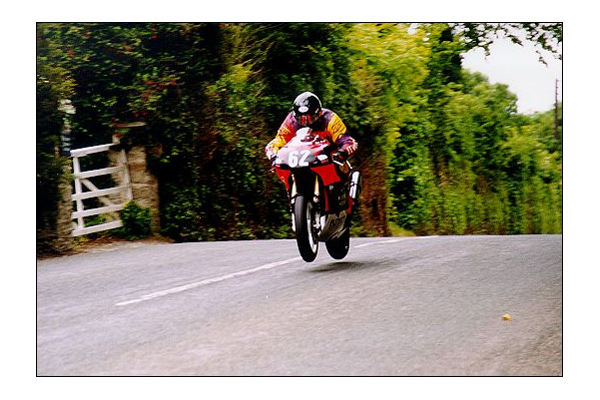 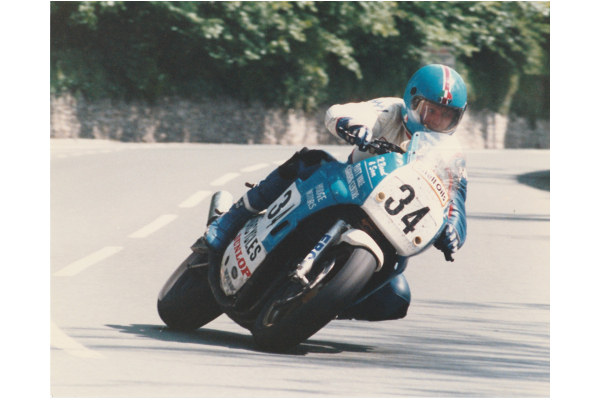 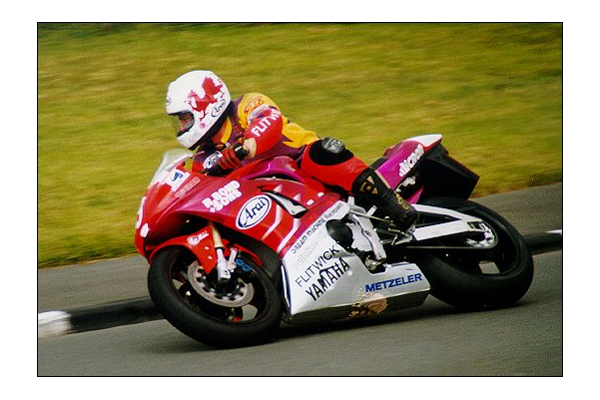 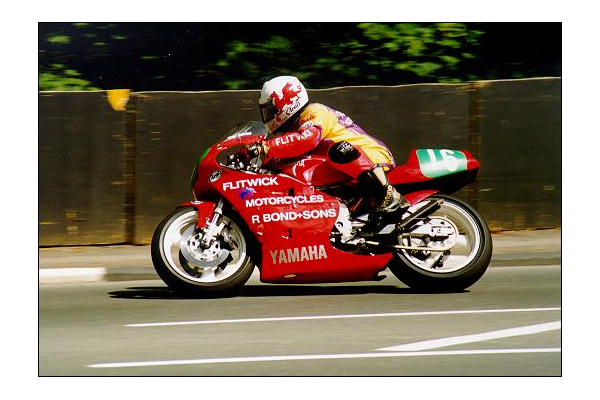 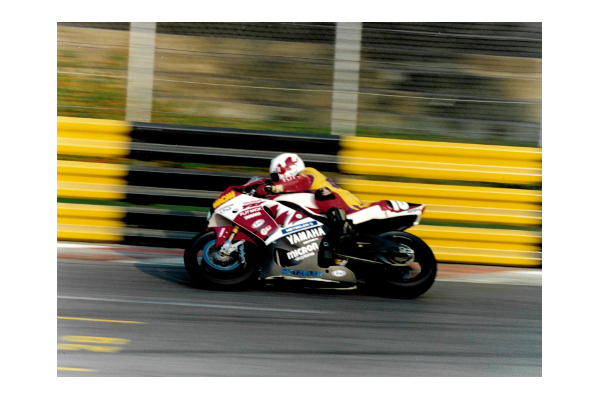 In the space of this Isle of Man career, which was in the main spent on Yamaha machinery, Steve would compete in 54 TT races and 21 Manx Grand Prixs, resulting in 7 TT Podiums, 5 Manx Grand Prixs and a host of other top results including podiums at the Ulster Grand Prix and the North West 200. 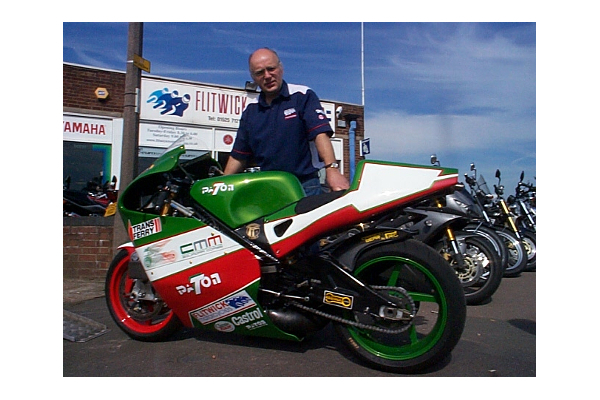 Flitwick have also backed other riders over their history, including Matt Llewellyn and Fernando Mendes in the British Championships and Nigel ‘Cap’ Davies and Ian Lougher at the Isle of Man and other road races. 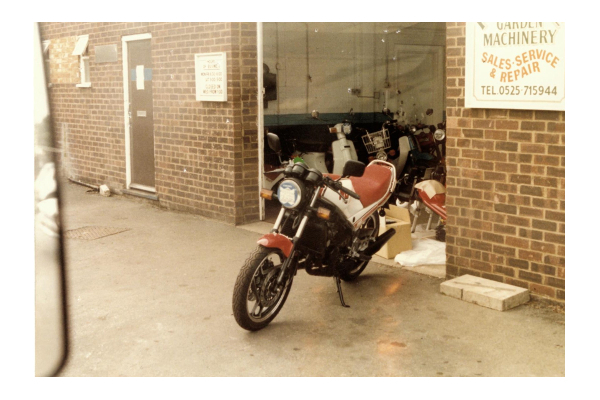 Parts & Accessories manager Mark Freeman also achieved great success on his FZ750 Yamahas, winning several club championships. 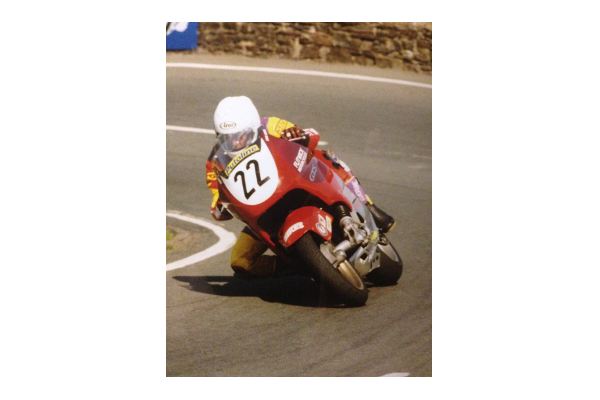 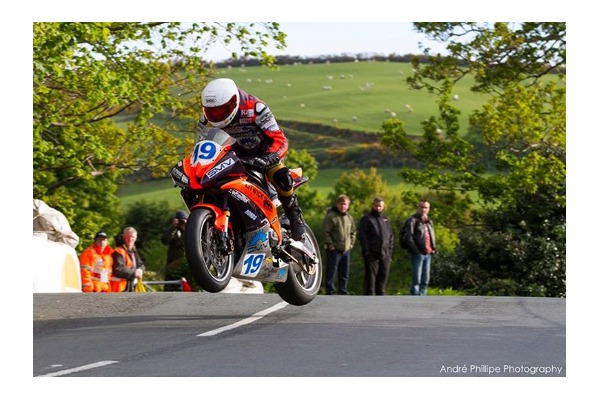 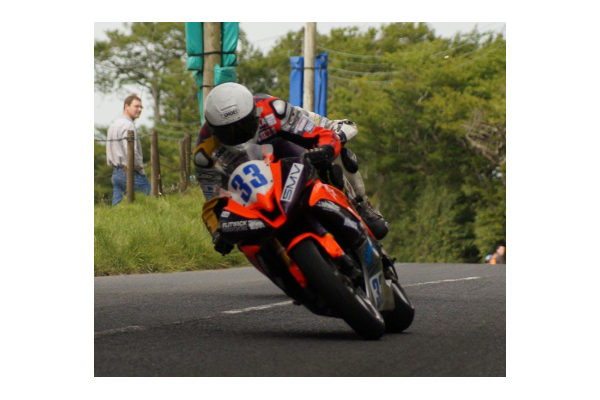 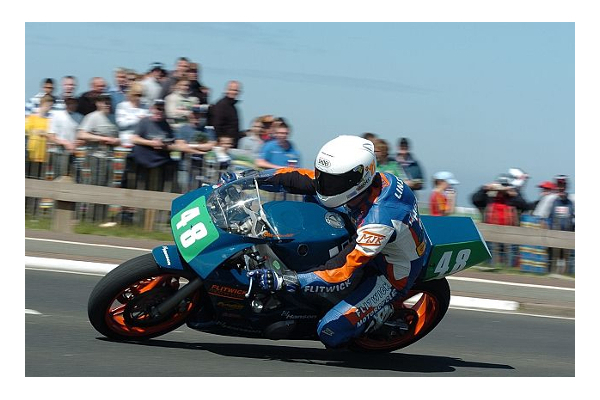 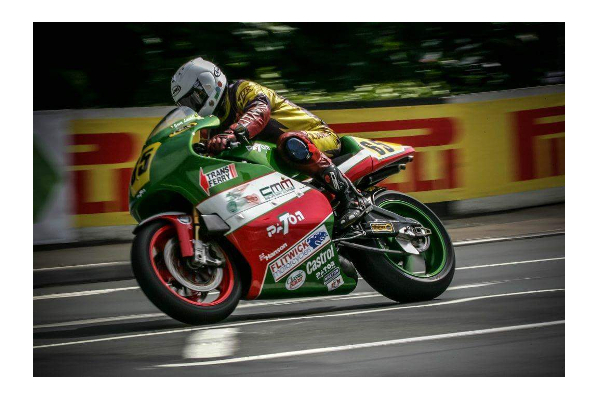 In recent years Carole & Steve’s son Olie Linsdell has achieved significant success riding both modern and classic machinery under the Flitwick banner at circuit and road races, including 2 North West 200 wins, 2 Manx Grand Prix wins and 1 Ulster Grand Prix win. 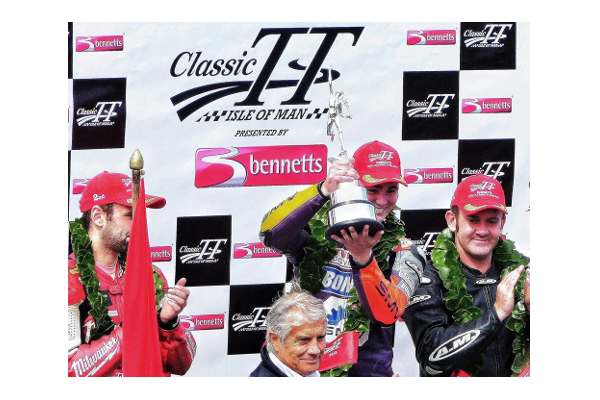 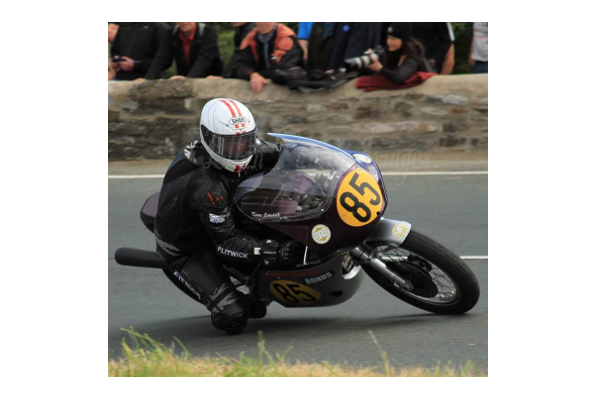 Indeed Olie is still competing in classic events in the UK and at the Isle of Man Classic TT, alongside younger brother David Linsdell, who now works in the business.